Chadwick Boseman is an American actor, playwright, and screenwriter who is most famous for breaking one of Hollywood’s barriers to become the first black actor playing a lead role in a superhero movie. The Howard University graduate is renowned for portraying iconic roles as Jackie Robinson in the sports film, 42, as James Brown in Get On Up, as the first superhero of color in the Marvel Studios film Captain America: Civil War, of course, the man behind the Black Panther mask and Avengers: Infinity War. The Black Panther star was born Chadwick Aaron Boseman on November 29, 1976, in Anderson, South Carolina of United States. He is the son of Leroy (a businessman) and Carolyn Boseman (a nurse). Raised in the city of Anderson, the African-American actor attended T.L. Hanna High School. In the year 2000, he graduated with a Bachelor’s degree in Fine Arts – Directing from Howard University, the historically black university in Washington, D.C.
After graduation, Boseman who has a passion for writing and directing also attended the British American Drama Academy as well as the Digital Film Academy in New York where he studied Digital Filmmaking. He worked as an instructor in the Schomburg Junior Scholars Program in Harlem, New York. In the year 2008, he moved to Los Angeles to pursue his acting career. Chadwick Boseman has been active in the industry since 2003, first with minor roles. He made his onscreen debut role in an episode of Third Watch (2003). He further landed roles as Reggie Porter in All My Children (2003), as Nathaniel Ray in Lincoln Heights (2008) and as Graham McNair in Persons Unknown (2010). He has made other guest TV appearances in CSI: New York, ER, Law and Order, Lie to Me, The Glades and Cold Case. Boseman made his big screen debut as Floyd Little in the 2008 sports biopic The Express. He came to limelight in 2013 after portraying the lead role in the Jackie Robinson biopic 42, starring alongside Harrison Ford. By the next year, Boseman made an appearance in the football film Draft Day alongside Kevin Costner and Jennifer Garner. He also portrayed the music legend James Brown in the movie Get on Up. His next role was the character Thoth, the god of wisdom in the 2016 movie Gods of Egypt. Chadwick also landed a starring role as Justice Thurgood Marshall in the 2017 legal movie Marshall. Boseman joined the Marvel Cinematic Universe in 2016 portraying T’Challa/Black Panther in the superhero blockbuster Captain America: Civil War. He reprised the role in 2018 in the standalone first black superhero film, Black Panther as the king of the fictional African country of Wakanda, a tiny, but a supremely powerful nation-state. The movie Black Panther was so successful, shattering box office records and earned more than $1.3 billion worldwide. In the same year, he rejoined other Marvel cohorts in a follow-up Avengers movie, Avengers: Infinity War. Boseman has written and directed two shorts, Heaven and Blood Over a Broken Pawn. Chadwick Boseman has had quite an impressive résumé and established himself as one of the leading Hollywood stars. The Black Panther star’s net worth is estimated at $8 million. 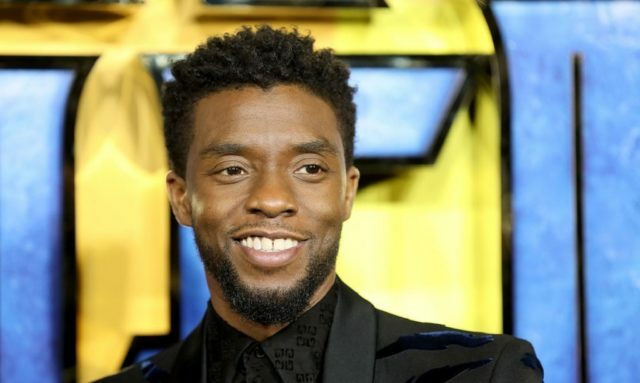 Given the enormous success recorded with Black Panther which is Boseman’s biggest break yet, as well as his upcoming projects, the amazing actor’s net worth will likely increase rapidly to make him one of Hollywood’s highest-paid African-American actors. 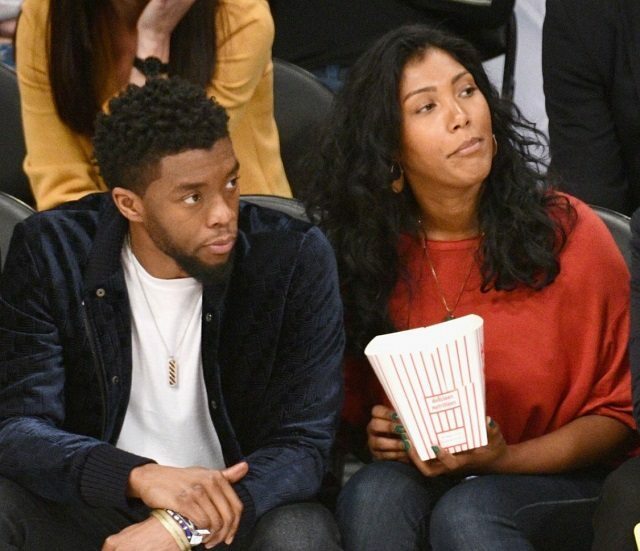 Who is Chadwick Boseman’s Wife or Girlfriend? Boseman Chadwick is one of those celebrities who like to keep their personal lives under the radar. There isn’t much information about his personal life and relationships available to the media. While we are unsure whether or not Boseman -who seems totally focused on his career – has a girlfriend, he has, however, been rumored to be dating singer Taylor Simone Ledward. There have been clues which suggest that the pair are an item. Though they are not often seen together, Boseman and Ledward were spotted together looking like a couple at the 2018 NBA All-Star Game in Los Angeles and were also reportedly seen together sometime in 2015. Nonetheless, neither of them have confirmed whether or not they are dating and even if the rumors are true, they have done a pretty good job at keeping their relationship out of the public eye. The Black Panther star is an ideal Afro-American superhero with an athletic build. He stands tall at 6 feet (183 cm) and weighs 86 kg (189.5 lbs). His body measurements are Chest – 42 inches, Waist – 32 inches and Biceps – 16 inches.